A number of organisations and governments provide funding and grants for development and projects. This page contains information on some of these programs that NGOs operating in Papua New Guinea can apply for to support their work. The Australia Awards PNG Alumni is an organisation comprised of former Australia Award recipients from PNG. The organisation offers small grants towards community-based projects in PNG. 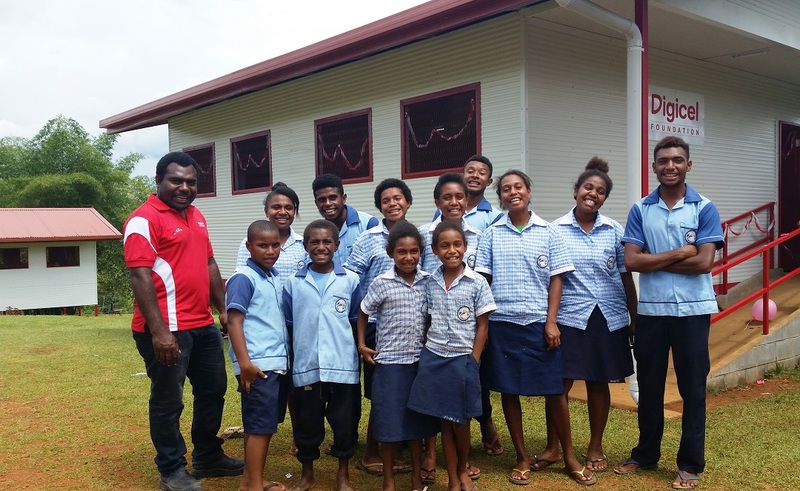 The Foundation has a particular focus on social and cultural change through improving basic education and health services for all as well as offering support to those more vulnerable groups in the PNG society. The Direct Aid Program (DAP) is a flexible small grants program funded from Australia’s aid budget and managed through 66 of the department’s overseas posts. The management of DAP varies from post to post. To find out more about how the Direct Aid Program is managed in PNG please visit the Australian High Commission in Papua New Guinea website. The Ethos Global Foundation is an Australian not-for-profit NGO that was founded in 2005. Its aim is to assist governments and their agencies to better deliver projects and services to communities and organisations through grass roots advocacy and networking. Their work is primarily based on development programs that support and nurture the interconnected nature of people, communities and their environment. Find out more about their project grants here. FRIDA | The Young Feminist Fund is the only youth-led fund focused exclusively on supporting global young feminist activism to advance social justice movements and agendas. Groups founded in the past 6 years (i.e. your group was formed between 2009 – 2015). The Australian Government funded Incentive Phase 4 program will identify and create incentives for high-performing organisations to expand both the reach and quality of their contribution to service delivery, economic development, or both, in Papua New Guinea. Grants ranging between 1 million and 10 million PGK to a total of 160 million PGK may be allocated to organisations in a range of sectors including health, education, transport, law and justice, governance and public administration, agriculture and rural development. Mundango Abroad is an Australian based Prescribed Ancillary Fund that supports doers in PNG to drive the changes sought by their communities looking for strong leadership, organisational health, need and demand, strategic relevance and clear outcomes. Mundango Abroad currently focuses its grants on Papua New Guinea. Subject to the above conditions and our available resources, we try to fund what applicant organisations see as their most pressing priorities. Depending on the circumstances, this could be core operational costs, infrastructure, capacity building activities or specific projects. We prioritise support to organisations that employ local people and initiatives that develop local capacity, leadership, opportunities and create jobs. We seek to support grassroots community work that does not receive significant attention from governments and other donors. We do not respond to humanitarian appeals or fund vehicles, airfares, conferences or personal expenses. We do not support activities that are politically focused. Only organisations who meet our guidelines outlined above and who are charitable in intent will be considered. Applications are considered at quarterly meetings. Organisations working with children will be requested to provide their policies and procedures for child protection. All funded organisations are asked to provide a report detailing the outcomes of the funded activities, as well as a financial acquittal. We strive to minimise the administrative burden and will only request information we use. Contact the Company Secretary at admin@mundangoabroad.org.au to discuss your request. The Pacific Development and Conservation Trust was established by the New Zealand Government in 1989. Funding of $3.2 million was received from France in recognition of the events surrounding the destruction of the Greenpeace ‘Rainbow Warrior’ ship in Auckland Harbour on 10 July 1985. Every year the Trust has approximately $250,000 to distribute as grants to groups and individuals in the Pacific for a range of development and conservation projects. The UNDP provides small grants to assist civil society organisations for projects which align with initiatives in one or more focal areas that supports enhancement of livelihood as a way of relieving pressures to the environment. Organizations interested in applying for Embassy administered grants should send their name, contact information, area of expertise and a short description of possible proposals to pdportmoresby@state.gov.